A federal judge on Thursday threatened to begin contempt proceedings against Attorney General Jeff Sessions if the government did not turn around a plane carrying two deported plaintiffs to El Salvador in a lawsuit challenging new asylum policies. U.S. District Judge Emmet Sullivan made the threat while considering whether to issue an emergency order to block deportation of immigrants challenging a new policy that generally denies asylum to people fleeing domestic violence and gang violence. The American Civil Liberties Union had filed the suit with two of its local affiliates and the Center for Gender & Refugee Studies. Coverage of the hearing is available in a blog post by the ACLU and coverage by CNN, the Wall Street Journal and the Washington Post. The government had made assurances in court the previous day that no one would be deported before midnight Thursday, according to Sullivan, who granted an emergency order requiring the return of the two asylum seekers. A transcript of the hearing is here. The government turned the plane around. 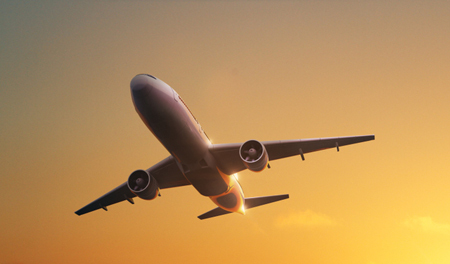 According to the lawsuit, the two plaintiffs on the plane were a mother and daughter. The suit said the mother suffered “two decades of horrific sexual abuse by her husband,” who raped and threatened her after she moved away. She was also threatened by a gang that held her at gunpoint and demanded a monthly “tax,” the suit said. 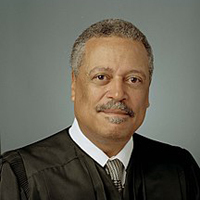 U.S. District Judge Emmet Sullivan/Wikipedia. Sessions ruled in June that asylum is generally not available to people fleeing violence by private rather than government actors. “The mere fact that a country may have problems effectively policing certain crimes—such as domestic violence or gang violence—or that certain populations are more likely to be victims of crime, cannot itself establish an asylum claim,” Sessions wrote. Later guidance applied the new standards to expedited removal proceedings. The ABA had filed an amicus brief contending that asylum should be available to victims of crimes that aren’t being addressed in their home countries. The ACLU lawsuit, Grace v. Sessions, was filed Tuesday in federal court in Washington, D.C. The suit contends the new policies clash with protections created by Congress that establish an initial “credible fear” interview for asylum seekers. Those who meet the credible fear standard are required to be taken out of expedited removal and allowed to pursue their claims in regular removal proceedings. “The new policies unlawfully elevate the credible fear standard far above the low threshold Congress enacted and prevent asylum seekers from ever pursuing their asylum claims,” the suit says. The suit claims violations of the Immigration and Nationality Act, the Refugee Act, separation of powers principles, and the due process clause.